168 pages | 37 B/W Illus. What goes on in a small firm that lives or dies by its capacity to innovate? How are decisions made on new product development, and how does that feed into the ecological, social and financial sustainability of the firm? This book answers the questions through an in-depth look at a small business that manufactures high-end carpet yarn. 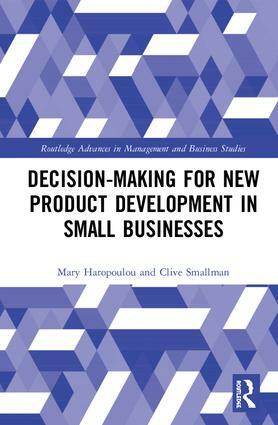 Using advanced analytical techniques to interrogate rich qualitative data, the book draws together established theories of decision-making and new product development, coupled with thinking about business sustainability to improve our understanding of this important area of business practice. The book further reinforces the importance and role of organizational learning in organizational decision-making, based on novel analysis of empirically developed qualitative data. Mary Haropoulou is a Course Quality Officer at the University of Western Sydney. Clive Smallman is Professor and Dean at the Higher Education Leadership Institute.